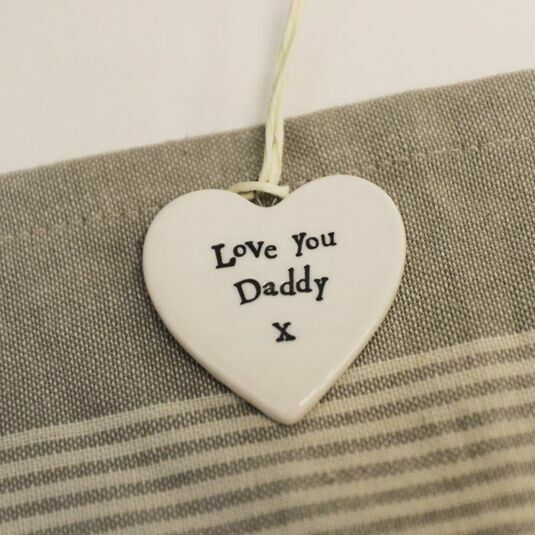 Show someone how much you care with this beautiful porcelain heart from East of India. 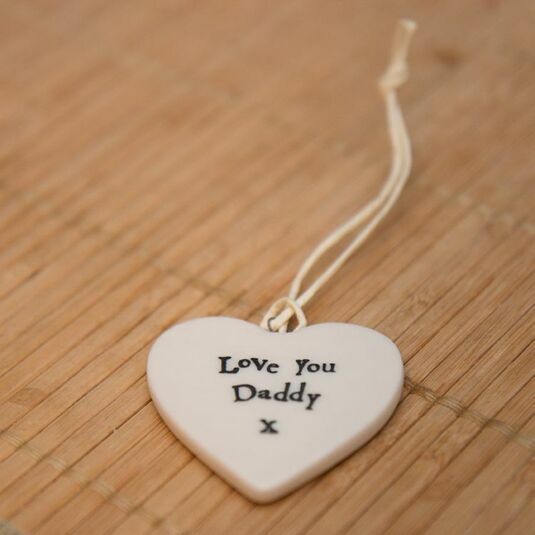 The heart comes with a string attached, so it can be hung on the wall or a door, allowing its sweet and inspiring message to be read by all. 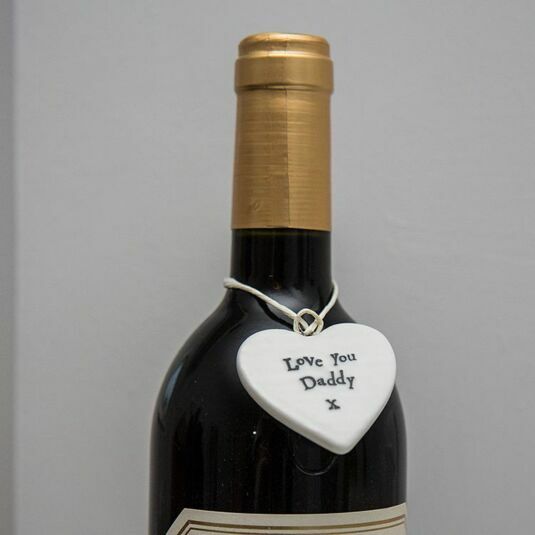 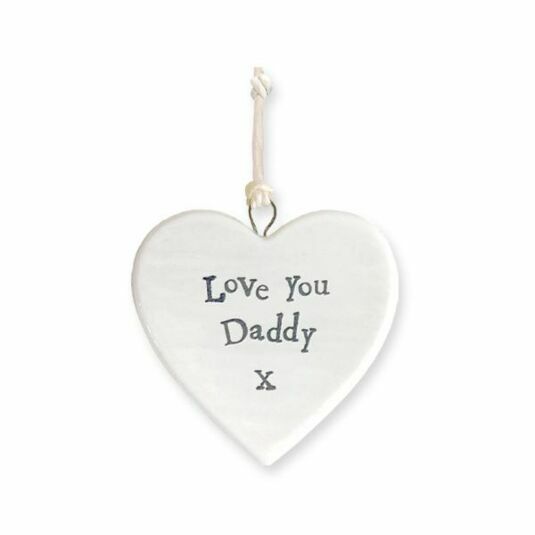 The words on this decoration read: 'Love You Daddy x'.